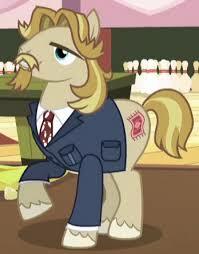 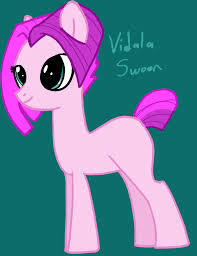 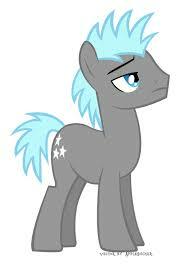 My Little Pony Theodore Donald is a supporting Character in My Little Pony film series. 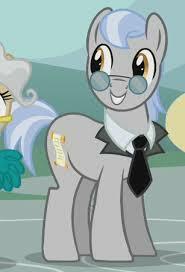 This is a male Earth pony and appears in the episodes The Cutie Pox, Leap of Faith, and Slice of Life, and in the IDW comics. 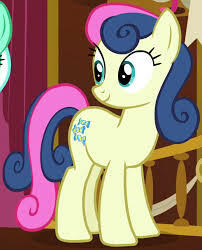 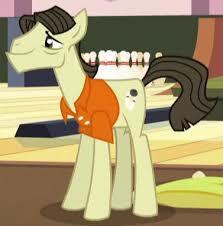 He has a pale yellow coat, dark brown mane and tail, orange eyes, and a cutie mark of a bowling ball and two bowling pins..